Pamper your skin using this luxurious Dermal Gold Collagen Essence facial sheet mask. Formulated with colloidal gold, it's designed to not only encourage skin rejuvenation and elasticity, but it's also great for moisturizing. 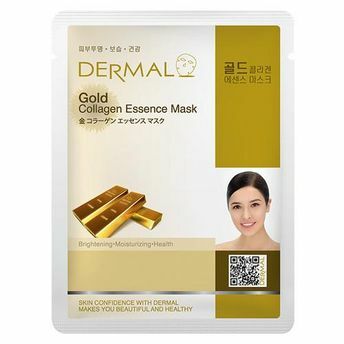 Colloidal gold also promotes human metabolism and skin cell activity thus it keeps your tired skin caused by daily stresses all the more healthy and bright all day long.